The benefits of a Natural Habitats' lake management program - bigger, better fish. 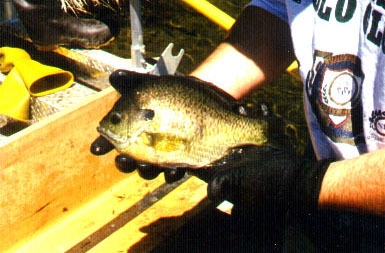 This bluegill is thriving as a result of a comprehensive feeding/habitat restoration schedule. It is in such good condition that it almost has "shoulders".